Home | Head End Server Nodes | Grow your business, join our network! Our Head End service platform is perfect for affiliates, MSP’s and data center partners who are looking for a white label, plug and play, fully managed, VPS hosting solution to offer their customers. By adding BIP media’s head end to a new/existing network stack or data center rack, you can offer customers your local POP as well as a growing list of POP locations in the BIP media network. Now customers have much more flexibility and localized reach when designing and hosting their servers, applications, and services. 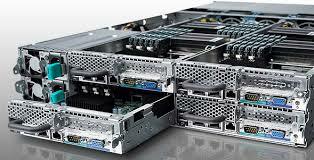 Note: Data center business partners earns as much as 10% for each VPS instance hosted at your location(s). How does self provisioning work? When a customer orders a server at any of our pop locations, our order management system provisions the service automatically by setting up the customers service plan in the desired POP location. Customer automatically gets notified when the service is ready to login. With your own hosted BIP head end system, you can offer your customers local servers and services + all the other POP locations we offer. + You start earning 10% monthly for each customer you sing up. + Have the peace of mind in knowing that all hosted head end POP’s are fully managed by us. + Our dedicated sales and support team’s are ready to assist you 24×7. Our head end, white label, VPS hosting service is perfect for small to midsize MSP’s, web design and programming agencies or Midsize to Larger MSP’s, Data Centers, and facility providers interested in growing their bottom line through a fully managed VPS service. If this sounds link you then fill out the form below or give us a call! We will be happy to answer any questions you may have and see if you qualify to the program. Please introduce yourself and tell us the nature of your inquiry – we’ll be sure to follow-up with you right away. If you have some specific requirements in mind or an RFP already prepared, please e-mail it to hello@BIPmedia.com. We’re available to talk anytime Monday – Friday from 9:00 A.M. – 6:30 P.M. (EST).